Eleanor Lisney is a campaigner, founder member, public speaker and director of Sisters of Frida. She is an access advisor, an aspiring creative practitioner and co founder of Culture Access CIC, which is about supporting access, bringing an inclusive edge intersectionally. She was born in Malaysia and has lived in Strasbourg, France and studied at Austin, Texas. She has written for Media Diversified and is passionate about embedding intersectionality in all her work. She has two grown up children. Tumu Johnson is a mental health worker and group facilitator with experience of working in front line support services, research and community organising. She is currently studying for a Masters in Mental Health Studies whilst working in the NHS and also provides freelance training around mental health and wellbeing. Tumu is committed to making the world a more accessible place and fighting for the rights of disabled people. She is a feminist who takes an intersectional approach and hopes to draw on her experiences as a black disabled woman to contribute to achieving social justice. Kirsty Liddiard is currently a Research Associate within the Centre for the Study of Childhood and Youth, in the School of Education at the University of Sheffield. 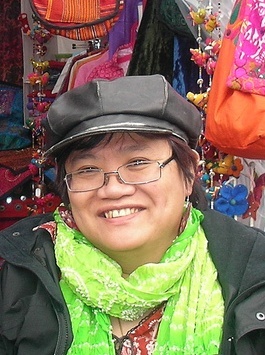 Prior to this post, Kirsty became the inaugural Ethel Louise Armstrong Postdoctoral Fellow at the School of Disability Studies, Ryerson University, Toronto, Canada. Kirsty’s research explores the intimate lives of disabled people. Her interests sit primarily at the intersections of disability, impairment and embodiment and gender, sexuality, love, intimacy and citizenship in contemporary dis/ableist cultures (Liddiard 2016 2015; 2014; 2013a; 2013b). As a public sociologist (see Burowoy 2013) and activist scholar, Kirsty centres co-production in her research, and views the effective, ethical and accessible communication of knowledge as a form of social, political, and economic justice. She lives happily in a little village with The Boy and The Kid. Lani Parker has worked on disability issues in various capacities including taking part in campaigns, facilitating training, and working within disabled people’s organisations in the areas of advice, information and advocacy. She has a particular passion for doing the work of connecting social justice issues. She hopes that Sisters of Frida will benefit from her experience as a disabled woman and commitment to disability justice in a broad sense. She is excited to use her skills to contribute towards tackling some of the concrete issues that disabled women face. Rachel O’Brien is the current NUS Disabled Students’ Officer and has a history of experience in student free education, feminist and disability campaigns. Her particular interests in this field is campaigning against NHS cuts and privatisation, anti-austerity campaigns and political education for disabled students. 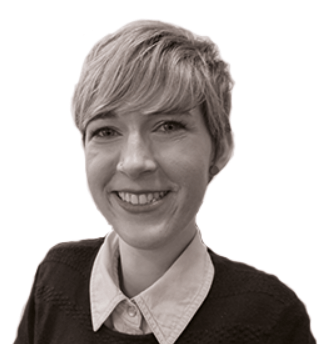 Sarah Rennie is a former solicitor, her day-to-day work is research and governance advice. However, Sarah delivers disability equality training nationwide and acts as a consultant for select clients on internal equality working groups. She is also vice-Chair of the city’s Access Committee. Bethany Young is actively involved in with Third Sector organisations, promoting equality and advocating for disability rights. In her campaign representative role with Disability Rights UK Bethany has explored the challenges of the Disability Employment Gap. As a strong communicator, she has successfully engaged with the public and campaign partners to provide a more three dimensional picture of employment barriers. Education and learning is an ongoing motivation. Bethany works to improve access to regional educational and cultural resources. She also is passionate about her youth work, mentoring and writing. Being a part of Sisters of Frida is an amazing opportunity to grow, develop and share knowledge. Bethany plans to apply her abilities to the human rights landscape and the inequalities disabled women can experience.